October is Breast Cancer Awareness Month, and it’s hard to miss. The awareness color (pink) is everywhere, from ribbons to clothes to logos to athletes’ cleats in NFL games, and the country appears more united than ever in the battle against this disease. And the awareness campaign is working. Every year, nearly $6 billion dollars is raised for breast cancer research. And yes, that’s “billion” with a “b”. Susan G. Komen, one of the leading fund raisers in the fight against breast cancer, brought in over $420 million dollars alone last year. But the cancer statistics still look grim. There are well over 300,000 new cases of breast cancer every year and over 40,000 deaths from breast cancer each year. With so much money being raised every year to battle the disease, it’s easy to jump to conclusion that awareness and donations just aren’t making a difference. Fortunately, that conclusion would be wrong. Talzenna – In October, the FDA approved the drug Talzenna for use in treating certain forms of breast cancer. The drug, which consists of a single pill taken once a day, limits cancer’s ability to change cellular DNA, and shows more promising results than regular chemotherapy. MRI vs Mammogram – A 2018 study found that two MRI’s a year are better than a regular annual mammogram for detecting early stages of breast cancer in high risk patients. Second Opinions Save Lives – Another 2018 study found that getting a second opinion after a breast cancer diagnosis, rather than jumping straight to treatment, can be very valuable, and that 40% of those who asked for a second opinion had a change in diagnosis. Calculated Risks – Doctors in 2018 developed a new online calculator (the CTS5) that helps predict the likelihood of cancer returning five years or more after diagnosis and treatment. The Blues Help The Blues – A 2018 study found that music as part of treatment improves the quality of life for patients in palliative care. They not only feel better emotionally, but physically as well. The Skin Cancer Link – Scientists found a connection this year between frequent skin cancers and other cancers, including breast cancer. Just on basal cell carcinoma on a woman’s skin increases their risk of other cancers by 1.6 times. Six or more basal cell carcinomas makes that number jump to over 3 times more likely. The Importance of Exercise – A study this year found that only about 3% of people are aware that lack of exercise can increase the risk of cancer. Less Herceptin – The drug Herceptin is typically given to women post-surgery to help reduce the risk of recurrence. Up until now, this was usually prescribed for a year, but thanks to a 2018 breakthrough, scientists now find that the prescription can be stopped after six months with no change in results… which is great news for those suffering from side effects. 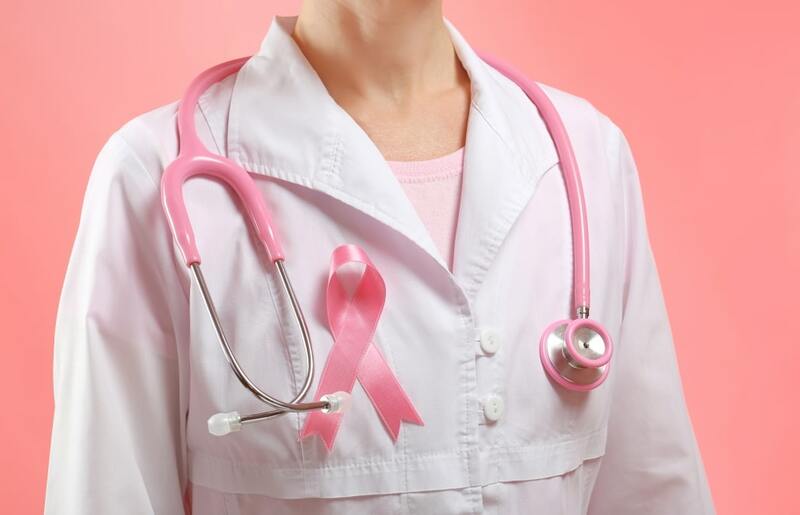 Genes Identified – Researchers in 2018 identified 110 genes associated with breast cancer. Hit It Early, Hit It Hard – Scientists this year found that intensifying chemotherapy at the beginning of treatment can reduce the risk of recurrence in women with a high risk of the disease returning. There’s a lot happening in the battle against breast cancer, and as awareness continues to grow and donations continue to pour in, there’s great hope that one day, the disease can be stopped. In the meantime, it’s very important to follow the proven, established guidelines for prevention and detection, and as nurses, it’s very important to pass along that encouragement to every patient possible. Interested in beginning your own career in nursing or as a medical assistant? Contact Eagle Gate College today for more information.